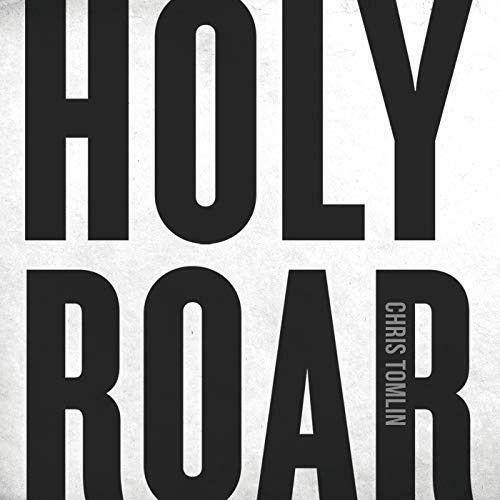 Holy Roar is the new studio release from Chris Tomlin, and is filled with his characteristic passion for worship music. That same infectious passion that inspires the millions of Christians who sing his songs every week in Church services around the world. And Holy Roar is no different. Featuring tracks like the powerful ‘Is He Worthy?’ and the incredibly uplifting ‘Nobody Loves Me Like You’, the album is made to help bring together Christians in worship. I think most people in the Christian community have heard of a certain Mr Christopher Dwayne Tomlin and his many multi-million selling albums. Chances are that you have a favourite track of his, or one that has been popularised by him. Whether it's "Amazing Grace (My Chains Are Gone)", "Whom Shall I Fear (God of Angel Armies)" or even Housefires "Good, Good Father" most of us are used to singing these songs on a weekly basis because his music is written to be accessible. "Holy Roar" is no different, Chris Tomlin says of this release, "HOLY ROAR is the freedom, the experience, the wonder of worship. It is seeing the church come together, hands lifted to God, pouring out our praise with an eternal song in our hearts. It’s every voice together, changing the way we worship." This album was released to coincide with a book of the same name as well as a podcast. Based up the idea of 7 words used in the Bible which translate in English as "Praise" but each carries a different meaning, however, many scholars have actually challenged aspects of this books interpretation as an urban myth. Having said that the heart of the book and this album are to encourage all believers to worship together as mentioned above and I cannot fault that sentiment. I am sure there will be many people who will only listen to the album and never really look further into the theology surrounding it. As I have mentioned, Tomlin knows what makes an accessible worship song and as I listened to this album there is no sign that he will be shaking up his formula. So if you are looking to save time I can make this review short and succinct. 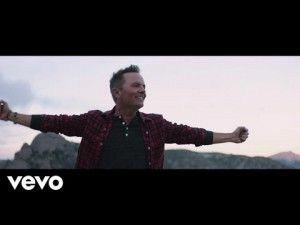 If you like Chris Tomlin's back catalogue and you're happy to add more songs that sound similar, but on different themes, then you will be quite happy with this album. If you are looking for something different, more dynamic, more challenging then this won't be the album for you. 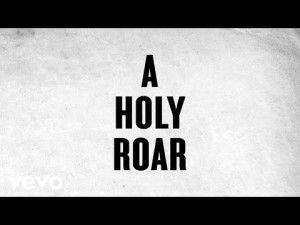 The album kicks off with the title track, "Holy Roar". Looking at other areas of life when people roar it's at sports events, when a team scores, or comes close, for those in England we just need to cast our mind back to the scenes that filled the news when England won their games in the World Cup. This is about giving God our praise with "reckless abandon", unfortunately however much Chris thinks our worship should be like this, the build-up and chorus doesn't do the title justice! More suited to Tomlin's style is "Nobody Loves Me Like You", this is quite a gentle song of worship celebrating the way Jesus loves us with. "Resurrection Power" talks about the freedom that the resurrection proves that we have. Part of this songs celebration tries to play on one of Tomlin's most well-known songs as it declares "my chains are gone", but this doesn't quite come across as well as that stirring chorus. Co-written with Bo & Bear Rinehart, also known as NEEDTOBREATHE, "Surely Goodness, Love and Mercy" is a song based on Psalm 23. This song has a slight change of pace to it, but it doesn't really add anything to all the other songs based on this Psalm. The next few tracks do mix things up a little. First, there is the slightly more upbeat "Satisifed", which looks at how Jesus is the only one who can satisfy, then "Impact" slows things down for more of a contemplative response. Next is "Praise Him Forever", which is a standard worship song co-written with Phil Wickham and based on a few different Psalms before bringing thoughts back to the theme of the "Holy Roar" that we join in with creation in praising God. These three tracks do show a bit of diversity, but they don't stray too far from the formula, and each are easy to listen to and sing along with and I could see "Impact" being a great song for a response time in a worship service. Probably the best track on the album that does buck the formula a little bit is the track "Is He Worthy?" Written by Andrew Peterson and Ben Shive and featured on "Resurrection Letters Vol 1", Chris puts his own spin on the track and it has a great sound with some great backing and choral vocals. "Forever Young" is not a tribute to the Mel Gibson film of the same name, but it is a track with a great writing team along with Chris including Martin Smith, Nick Herbert, Ed Cash and Bo Rinehart. This is a song about life, but with both eyes fixed on our eternal home, reminding us that God's view of time is different to ours, so we are forever young because we have all eternity in front of us. It's a shame that they waited until this point to bring the first singing collaboration, but track 10 features the soulful vocals of Nicole Serrano as they duet "I Stand In Awe". It's a fairly simple song but it really does lift up worship to God and the two vocalists do work well together. "Praise Is The Highway" is about praise being the route to the heart, throne and move of God and that it is praise that will wake the church for personal and communal revival. Personally I am not sure how much I hold to that because I believe that prayer and the Word of God being preached and acted on also have to be in place for this to happen. The last track features Pat Barrett, the writer of "Good, Good Father", who duets with Chris on this gentle song that harks back to some of the hymns about the sweetness of knowing Jesus. "How Sweet It Is" rounds out the album nicely with a gentle touch, but still not moving far from the formula. Sticking with what he knows, Chris Tomlin is playing it very safe on this album. I would love to see a more rock version of the title track where it feels like we really are praising with "Reckless Abandon". I think one thing that this album is missing is the key song that will spread across churches in the way that "Good, Good Father" or "Amazing Grace (My Chains Are Gone)" did. Having said that there are many songs here that could be used at various times in Church services across many different denominations, so if you are looking for a song that is easy for people to pick up and definitely won't cause offence to anyone then this album has plenty for you!